Key points from the 2016 Autumn Statement | News | Baxter & Co.
From 23 November 2016 to 31 March/5 April 2019, businesses will be entitled to a 100% First Year Allowance for the cost of installing electric charge-point equipment for electric vehicles. From 1 December 2016, income tax and CGT advantages of new shares issued in return for “employee shareholder status” will be withdrawn (shares already held not affected). National Insurance thresholds for employers and employees to be made consistent at £157 per week (currently £1 apart at £155 for employees, £156 for employers). Tax and National Insurance advantages of “salary sacrifice” schemes to be withdrawn, apart from arrangements involving pensions, childcare, Cycle to Work and ultra-low emission cars. As previously announced, new trading and property allowances for £1,000 each for individuals with low levels of income from these sources. New tax-free childcare arrangements to be introduced on a trial basis in early 2017 and rolled out later. As previously announced, tax advantages of foreign domiciled status will be lost for those resident in the UK for 15 of the last 20 years, and UK property held by a foreign domiciled individual through offshore structures becomes chargeable to inheritance tax. 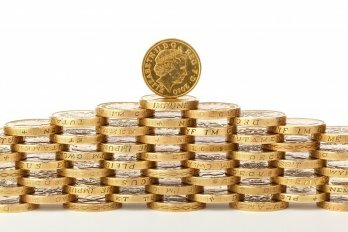 ISA investment limit rises from £15,240 to £20,000 per year. Public sector employers become responsible for tax due from individuals working for them through personal service companies and similar arrangements. Limit on pension contributions for those who have already made a flexible income drawdown from a pension scheme will fall from £10,000 per year to £4,000 per year. Limit for those who have not made such a drawdown remains £40,000. Rural rate relief doubles to 100% to match small business rate relief. Reforms to restrict interest relief and relief for brought forward losses for corporation tax. New penalty for taking part in tax avoidance schemes that are held to be ineffective: VAT measures to be introduced from 1 September 2017. New penalty for being connected with a VAT fraud in circumstances in which the person “knew or ought to have known” that a fraud was going on to be introduced from Royal Assent to Finance Bill 2017. Class 2 National Insurance Contributions abolished; self-employed retain contributory entitlements through Class 4 NIC on profits or voluntary Class 3 contributions. “Making Tax Digital” reforms apply to income tax, according to present Government plans; responses to consultations on the proposals to be published in January 2017. New measures to counter “disguised remuneration” schemes used by self-employed people and employers.